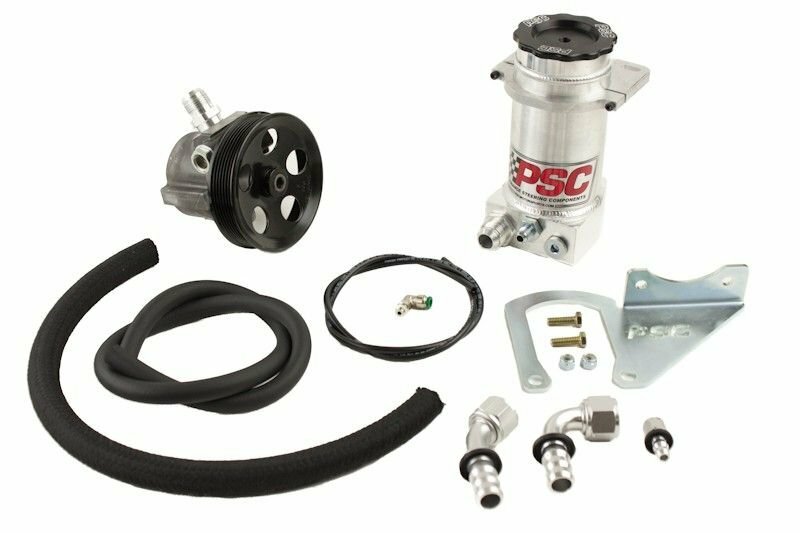 The PK1852 CBR style high volume pump kit is a direct replacement for 95-06 4.0/2.5 TJs and XJs. Greatly improves low RPM performance and is a must for cylinder assist systems. Pumps are ported for an increased 1600 psi and 4.5 gpm. This product was easy install, but the instructions did not say where the adapter went. I also bought some hose clamps because the fitting although tight I would think there would be some flexibility/pressure later on in the lines. An after install picture would have help, luckily I had someone help with the install that found where the adapter went. Quality is obvious. Requires a shorter mounting screw for pump not included.